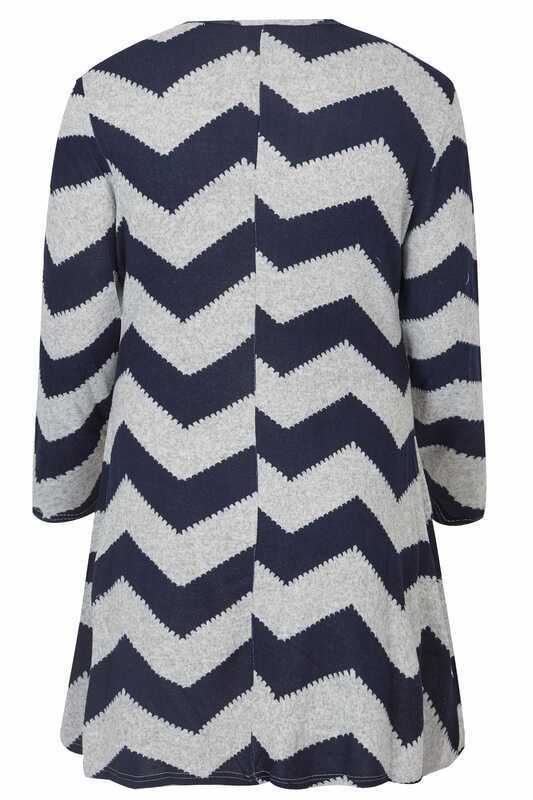 Bring prints to the forefront of your wardrobe with this tunic. 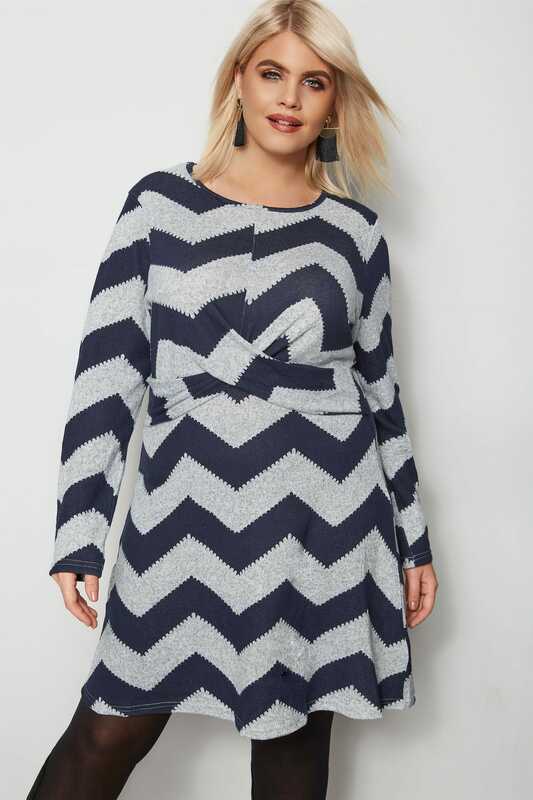 Made from a soft knit fabric, it features a knotted front, long sleeves and a simple scooped neckline. Pair with leggings and flats for an easy everyday look. 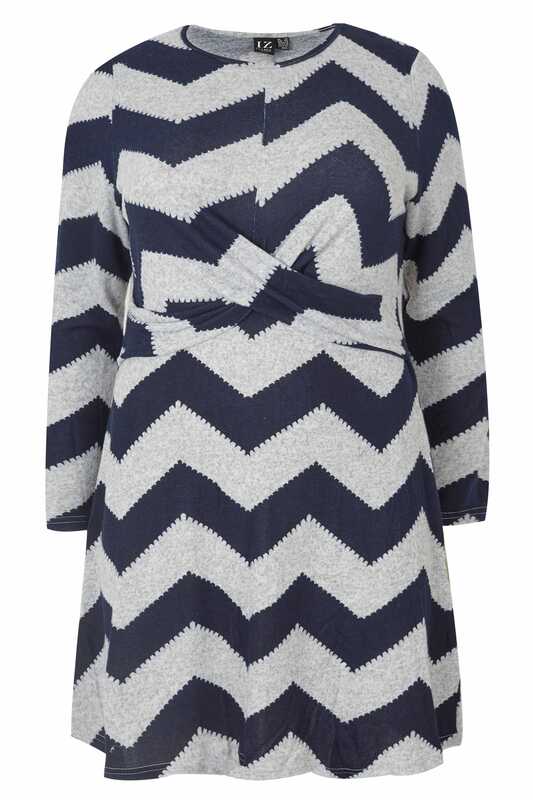 In a navy and grey hue, it stands out with a bold chevron print.